Ratana is a political and religious movement present in New Zealand which was created by Tahupōtiki Wiremu Rātana. He was a man from the Northern Island of New Zealand who belonged to the “Iwi” (“nation” in the Maori language), and more precisely to the “Ngati Apa” tribe. He was born in 1873 and in 1918, he claimed that he had received a message from the Holy Spirit, asking him to unify the Maori under the true God, Ihoa o ngā Mano, also called Jehovah, and to set the people free from the fake gods and spirits of the Maori tradition. He died in 1939. Maori land was still under British authority at the time, and had been so since the Treaty of Waitangi, which had established New Zealand as a Crown colony in 1840 to prevent the sale of Maori territory. In 1924, feeling neglected and forgotten by the British, Ratana and some supporters went to London to meet King George V: they wanted the Crown to do their job and keep protecting Maori land – but they eventually could not meet him. Although this movement was not endorsed by the New Zealand government, it surely helped the Maori people to enforce the treaty. Ratana's movement was supported by the Anglicans and the Catholics because Catholicism was the religion of strength in New Zealand. 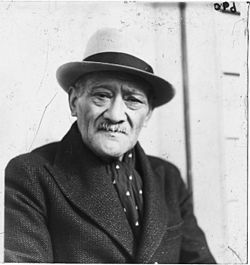 Although he was influenced by the Christian religions, Ratana wanted to go his own way and declared in 1925 the existence of a new separate Church: Te Haahi Ratana, staying close to the other Christian churches and expressing tolerance towards other religious movements. Te Haahi Ratana (or the Ratana Church) uses the Bible as its central book, and believes in the Christian trinity – te Matua, te Tama and te Wairua Tapu (Father, Son and Holy Spirit) – as well as in ngā Anahera Pono (the faithful angels) and Te Māngai (the Mouthpiece, or God’s Word and Wisdom). In addition to the Bible, it also uses the Blue Book in every church service, in which you can find hymns and prayers, many composed by Ratana and written in Maori only. Te Haahi Ratana has got the five-pointed star and crescent moon as a tohu (symbol). 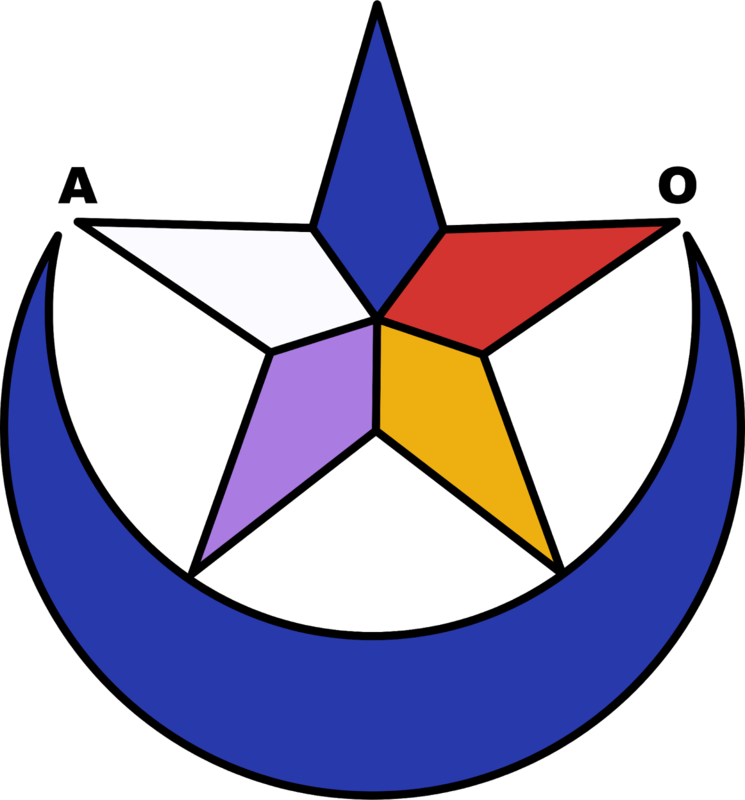 The star is multi-coloured and each colour represents the Maori trinity: blue is te Matua (the Father), white is te Tama (the Son), red is te Wairua Tapu (Holy Spirit) and purple is ngā Anahera Pono. The golden moon stands for a shining star, or the kingdom of light against darkness. The first temple, Te Temepara Tapu o Ihoa (the Holy Temple of Jehovah), was opened in January 1928. In addition to its religious purpose, the Ratana movement had a political aim: the defence of the Maori people. The first Ratana MP was elected in 1932 and the second one, Ratana's son himself, joined him in 1935. One year later, they decided to forge an alliance with the Labour Party and by 1943, Ratana members occupied all of the Maori seats. Nowadays, the party does not hold its dominant position anymore. The Ratana church was the most popular Maori church in the early 2000s, counting more or less 40,000 members even though it suffered a 25%-drop in 2006. In 2016, the familial link is still unbroken because the seventh leader of the church, Harerangi Meihana, is no less than Ratana's grandson. The Kōmiti Haahi Matua (head church committee) is the governing body of the Ratana church. The movement extended to Australia and counts several thousand members. In conclusion, we will say that Ratana deserves to belong to the keywords and icons of the English culture thanks, on the one hand, to the scale of the religious movement in New Zealand and, on the other hand, to the political actions which permitted to the Maori to protect and preserve their traditions and cultural identity.